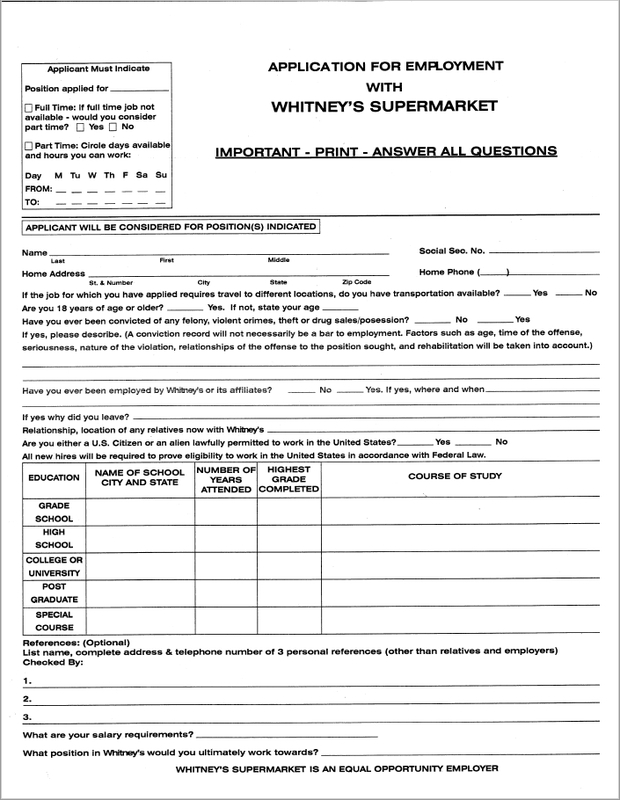 If you are interested in working at Whitney's Family Supermarket, please download, print and fill out the form below. You can download our employment application form in PDF format (requires Adobe Reader) using the links below. 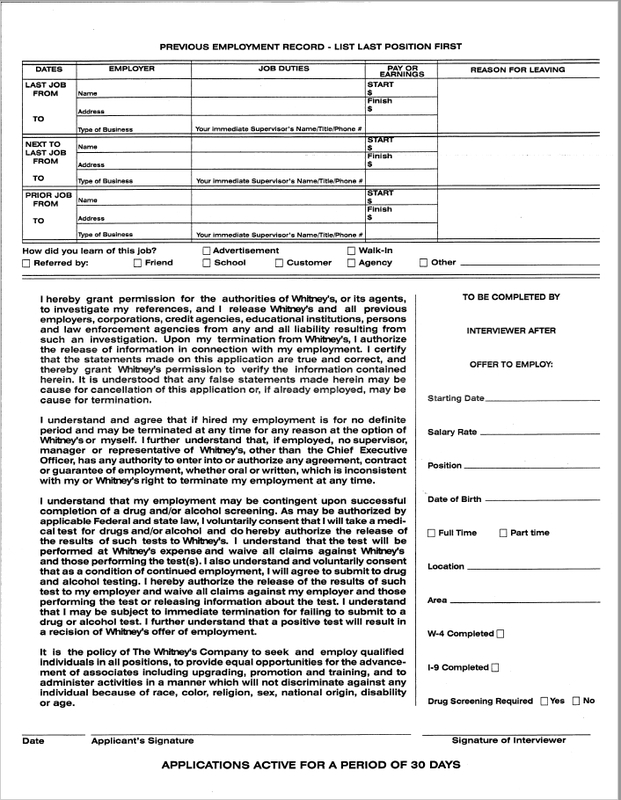 Click here to download our Employment Application Form. Copyright © 2019 Whitney's Family Supermarket.